I haven’t posted anything here for a while. Sorry about that. I’ve been renovating an old forge (1652) which will see a new life as a 4 bedroom house with a beautiful walled private garden. But I did have to put together a highlight video for a festival which I shot last August. 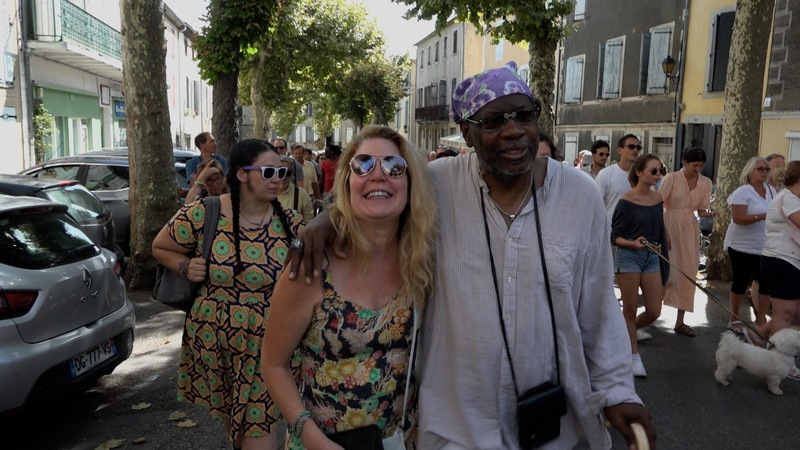 It is targeted to local (French) government agencies and private businesses for the purpose of raising funds through sponsorship and grants for next year’s festival. I crammed about a week’s worth of highlights into about 3 1/2 minutes. To keep a musical continuity I selected two songs from the festival to be the music score and used subtitles to get across the significance of the different events to potential new sponsors. The idea was to show, 1) A lot of people came to this small town, 2) They all had a great time, 3) There were multiple events of all sorts all week long to interest and involved people in various ways. I didn’t even get it all in there, but enough to get the idea across. That’s it really. Nothing fancy, but fun to throw together just the same. All shot hand held on the Sony PXW X70 and NX30. Edited and color balanced in FCPX. 23:38 12 Nov. £2150 pledged in the first 24 hours. That’s a start! This is my first crowd funding video. 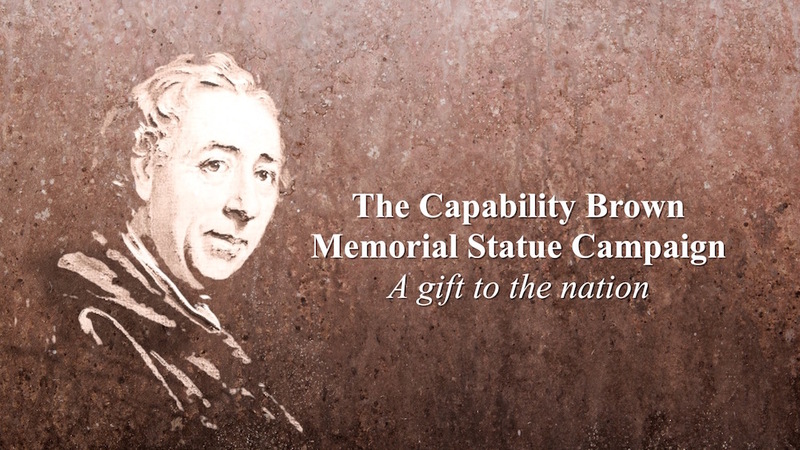 Its purpose is to raise the funds necessary to create a life-size bronze statue of Lancelot ‘Capability’ Brown, England’s most famous landscape architect. It has been said that English landscape architecture is one of England’s greatest contributions to world culture and it is, indeed, Capability Brown who is behind the meaning of that sentiment. Yet, unlike his French counterpart Andre Le Notre who has statues, busts, paintings and engravings all over France, Capability Brown is without similar recognition in the UK. No busts. No statues. Only two paintings, one of which is in a private collection. The video tells the story, but since this is the Video Whisperer blog, I thought I’d fill you in on some details behind the making of this video. My wife Laury Dizengremel is a sculptor and is also the artist-in-residence at Belvoir Castle. Two years ago the last known plans of Capability Brown were discovered in the Castle archives which were supposed to have been his crowning achievement. They were started, but never completed due to the financial problems of the 4th Duke of Rutland. So the current (11th) Duchess of Rutland decided to have a go at completing those plans as part of her legacy. She called in Alan Titchmarsh, England’s pre-eminent gardening expert, TV personality and author to help her and both embarked on a two-year program to execute the first phase of planning resulting in a 3 part national TV program which recently aired in the UK. Laury found herself immersed in all of this and asked the foremost expert on Capability Brown, historian John Phibbs (who was also part of the process) if there were any statues of Capability Brown. “No”, was the answer. Some weeks after the dust settled from all the filming activities and airing of the program –and after we ourselves found a break in our own activities, Laury decided that she was going to take it into her own hands and get the funds raised to finance a life-size bronze statue of Capability Brown to gift to the nation. For that she wanted a crowd funding video. And she wanted it that afternoon. I said, ‘whoa Nelly–I’m pretty good, but not THAT good”. And I explained the sorts of things that are necessary to pull off such a thing. Such as “who are we going to get to be the presenter for it THIS AFTERNOON?” and other small details like that. I only knew of one person–one of her daughters, who sounds as English as they come, but she wasn’t available. And I wasn’t willing to find and hire a presenter. So I thought about it for a couple of hours during which I came up with a rough draft of how I might want it to go. So the next morning I got up early, walked off into the English fog and shot the whole video. I had the job of explaining who Capability Brown was, why he deserved a statue in this, the 300th year of his birth, why an American was giving the pitch, and why a French sculptor with an American accent was going to create the statue for the people of England. That’s a tall order, isn’t it? Here’s the crowd funding page with the video. For £100 your name will be added to the plaque at the base of the statue–which will be the first ever statue of England’s of the man who came to define the natural landscaping that has been one of England’s greatest contributions to world culture. Pledges from £25 upward to £15,000 are available, each with a perk listed on the website. I hope some of my faithful Video Whisperer Blog subscribers will help us make this possible with a pledge of £25 or more. The campaign to create a life-size statue commemorating the 300th anniversary of Lancelot ‘Capability’ Brown’s 300th birthday is now officially live!